31/2 oz. ( 7 Tbs.) unsalted Butter, more soften butter for the pan. In a 1-2 quart saucepan, cook the butter over medium-high heat, swirling butter every few seconds, until melted and the milk solids at the bottom of the pan turn golden brown. 2 to 4 minutes immediately pour the brown butter into a small bowl and let cool, almost to room temperature. When ready to cook the crepes check the batter; It should be as thick as heavy cream, not as thick as pancake batter.if too thick, whisk in up to 1/2 cup more of milk. heat a crepe pan with a 8-in base or a 10-in nonstick skillet with an 8-in base over medium-high heat , until a drop of water sizzle. Using a folded paper towel : grease pan with about 2/4 tsp. butter. The butter should sizzle upon contact but not instantly turn brown. If it does reduce heat as necessary. using a ladle or measuring cup,pour 1/4 cup of batter into center of pan while simultaneously lifting pan from heat and tilting and turning in all directions, so the batter spreads evenly across the bottom of the pan.in a thin circle. if the crepe has any tiny holes in it, quickly add a few drops of batter to fill in. cook until the edges begin to dry and lift from the side of the pan and the bottom is nicely browned. ( lift up edge with a small silicone spatula or your finger to check) about 1 minute . use the spatula or finger to flip over crepe, cook until second side is browned about 20 seconds more. slide the crepe from pan onto a large plate or cooling rack. repeat with remaining batter. Adjusting heat and spreading more butter in pan every two or three crepes,or when ever pan begins to look a bit dry. 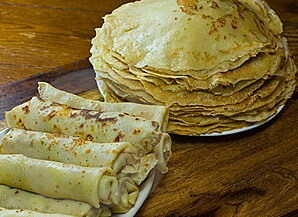 you can stack crepes on the plate as they er done and they wont stick . 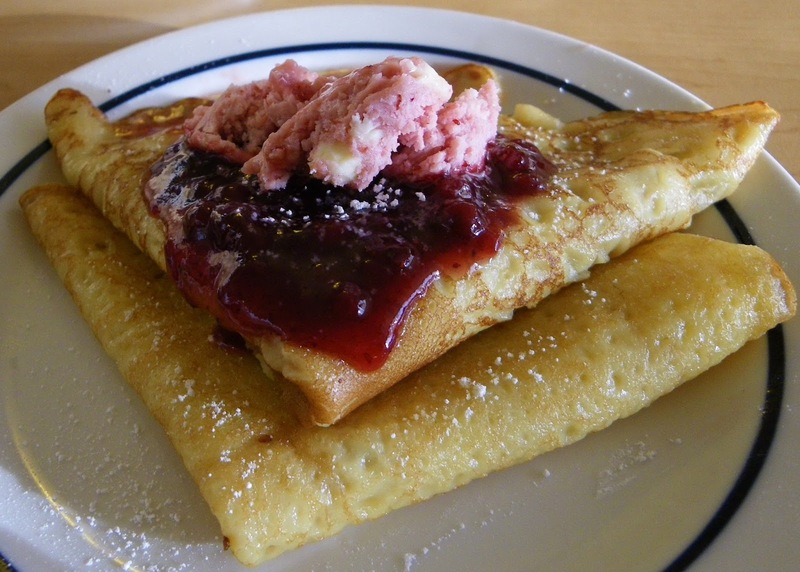 Crepe will soften as they cool. Looking forward to following you and finding awesome recipes! I have yet to perfect crepes! I might have to check this out. Looks yummy!!! Thanks for linking up to FFF! Oh Deanna those crepes look delicious. 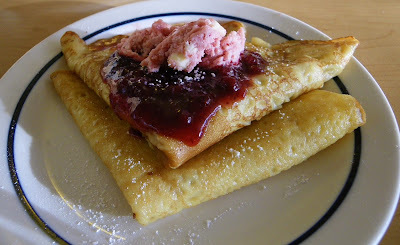 I love love love crepes, but I cannot make them. Your's look perfect. When was a kid my aunt once took me to a restaurant called The Magic Pan. They had amazing crepes. I was in love at, corny as it sounds, first bite.